From a physics standpoint, it is a well known fact that a moving object will only have its speed changed if another force is applied on it. This is called inertia. There are more implications of this, but I want to stay with the simplest interpretation of it. 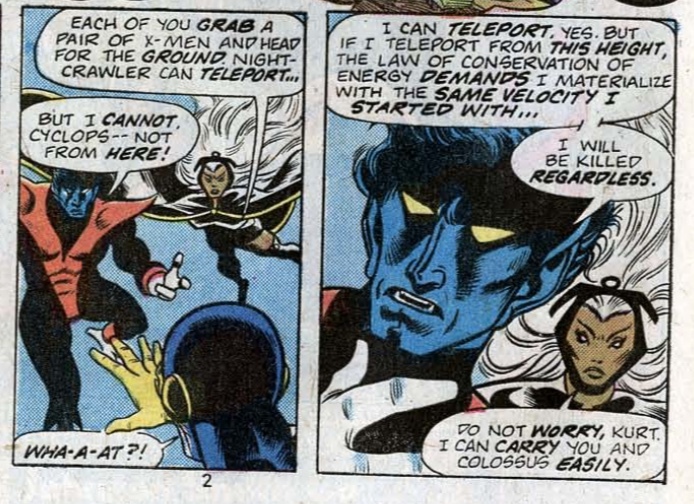 When X-men's Nightcrawler is moving and teleports, does he continue moving? If he is falling in a stand-up position and teleports to a upside-down orientation will he move up? What I am looking for is canon (comics, movies, cartoons) facts about what happens in situations similar to these, such as him using his power to leave a moving vehicle, for example. I know he is a great acrobat, and usually moves and jumps a lot during action, but in these cases it is hard to determine the implications of the movement because he doesn't move fast enough. I hope my question is clear enough. Any doubts or suggestions are well accepted in the comments. Thanks. Nightcrawler appears far above Doom’s castle, in great pain from the strain it took him to teleport two miles straight up. By the time he’s gathered his wits, his velocity means a port to the floor would still kill him on impact. 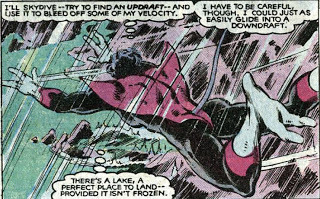 Taking advantage of the tempest created by the imprisoned Storm, he catches an updraft, allowing him to slow his descent enough for a safe port – straight into the lake. Fighting the pain and cold, he makes a difficult swim to shore, and resolves to free his comrades before giving Doom a rematch. You mentioned that you're looking for movie references as well as comics. 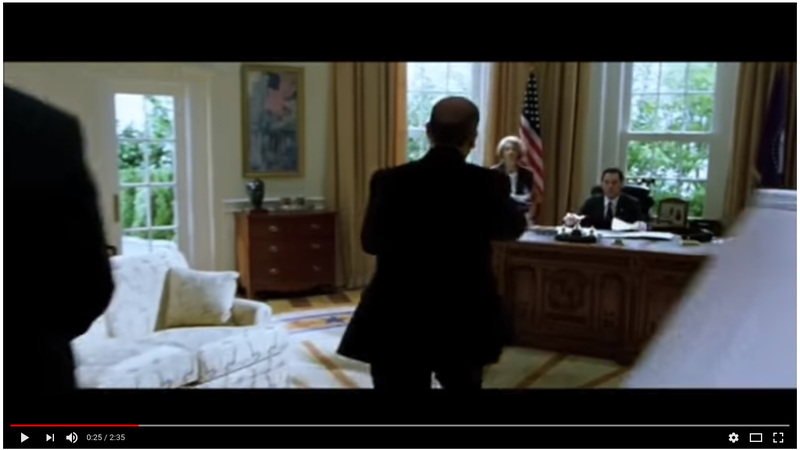 In the opening scene of X-Men 2, Nightcrawler attacks the president and his bodyguards, and several times during this fight he demonstrates the answer to your first question: if he's moving while he teleports, then he keeps moving after he teleports. Not the answer you're looking for? Browse other questions tagged marvel x-men physics or ask your own question. How does Fantomex's misdirection ability work? How does Loki's staff work? How does Wolverine's healing factor work? How was Quicksilver able to listen Walkman during Pentagon super speed fight in kitchen? Mystique replicating a target's attire, how does it work?